A nice write up in the paper about my book. 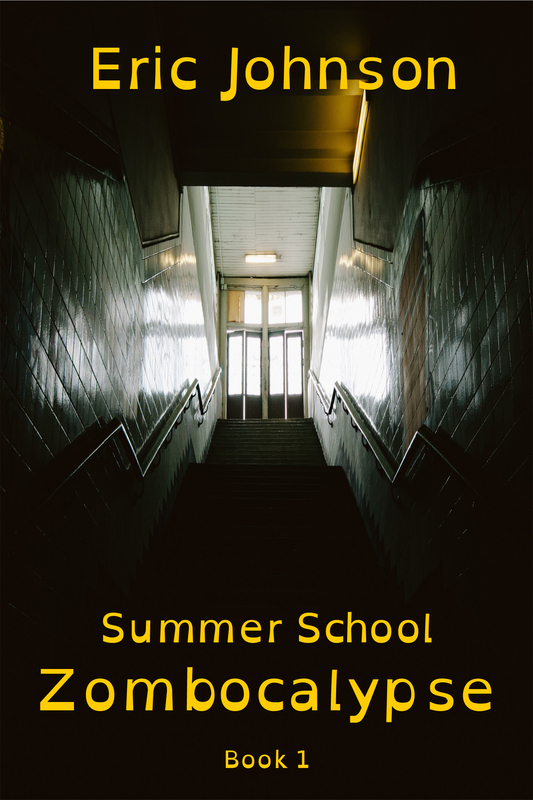 ALAMEDA — Alameda author Eric Johnson’s first book, “Summer School Zombocalypse,” doesn’t waste any time living up to its cataclysmic promise with a strange plane crash on the schoolyard, rescuers transformed into zombies and kids dodging dangers on every corner as they scramble to find their parents. Johnson, 48, said he’s always been a follower of science fiction. Johnson, who grew up in Ann Arbor, Michigan, couldn’t wait to leave the cold Midwestern weather behind and strike out for California. He subsequently studied accounting and general education at Columbia Junior College in Sonora before moving to San Francisco to work as a sous chef. In a career switch, he landed a job in technical support with Pacific Bell but eventually got tired of the long daily commute and graveyard shifts that left him little time to see his kids. “I got tired of city life, so I decided to move to Alameda, where my mom lived during World War II,” said Johnson, who has been a stay-at-home dad for the past eight years to children Christopher, 9, and Caitlin, 8.Johnson said he writes every second he gets a chance. “As a stay-at-home parent, you have to do something for yourself to stay sane,” joked Johnson, who also loves to walk the Alameda shoreline and Crab Cove with his wife and children or hike Lake Chabot or trails in the Oakland hills. Johnson, who said he and his son suffer from dyslexia, has also published “Zombocalypse” in OpenDyslexic, a new font created to increase readability for readers with dyslexia. The OpenDyslexic version is available through Amazon.com.